I made this for lunch yesterday. My friend A was to come over and she always enjoys what I make. Unfortunately there was a mishap and her darling pooch Happy was injured and had to be rushed to the hospital and she couldn’t come. Happy has had a fracture and will undergo surgery on the weekend, send him your love and good energies. A, this is for you. This is a simple recipe to bake and grill vegetables. I use the En Papilote method which means ‘in parchment’ ~ the food is put into a pocket made of parchment, aluminium foil or any other oven proof material and baked. 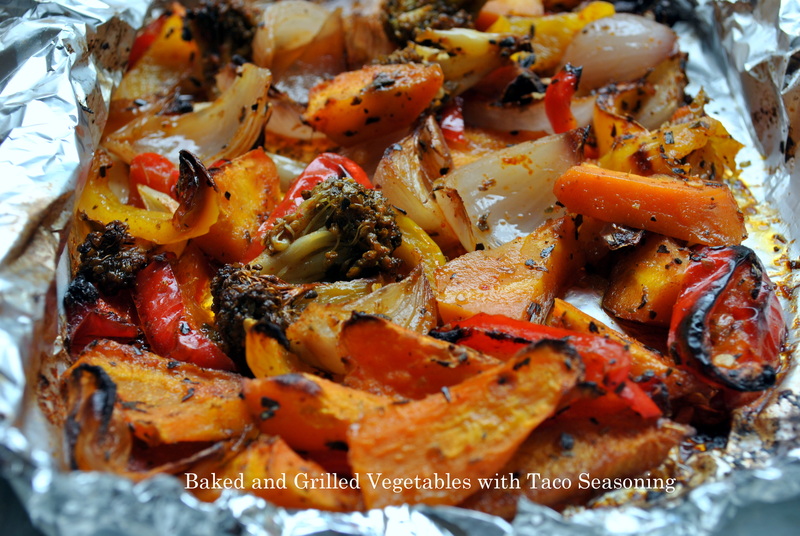 While a lot of recipes for baked vegetables will do it open spread out on a baking dish, I find that the flavor of the seasoning is deeper and the vegetables cook more evenly this way. After cooking the vegetables covered in foil for a while, I remove the foil and grill them for a bit to char the edges. The result is deep flavors of seasoning, sweetness of the vegetables and crispy ends! Totally yummy! My friends J & B love vegetables made this way. 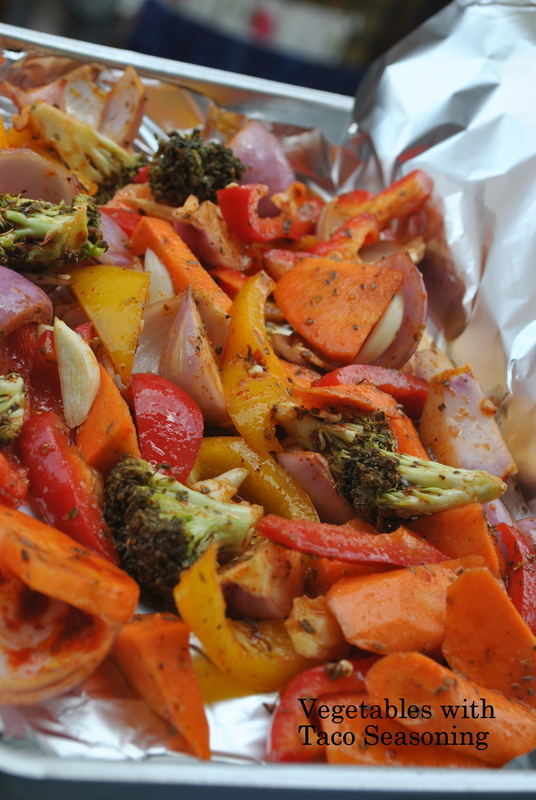 I never posted the recipe here because there is no way one can make grilled and baked vegetables look good! It’s such a good way of eating vegetables that I decided even if there were no good pictures, I had to post the recipe here. I used whatever vegetables I had on hand. This is a very forgiving way of baking and grilling and almost any kind of vegetable tastes good. Wash and pat dry the vegetables. Cut them into medium wedges. 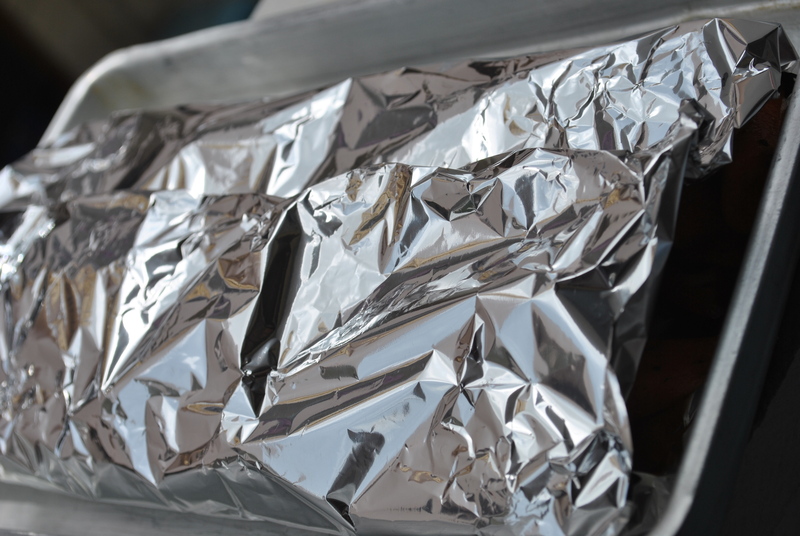 Place a large piece of aluminium foil in your baking tray, enough to be fastened into a pouch once the vegetables are arranged. 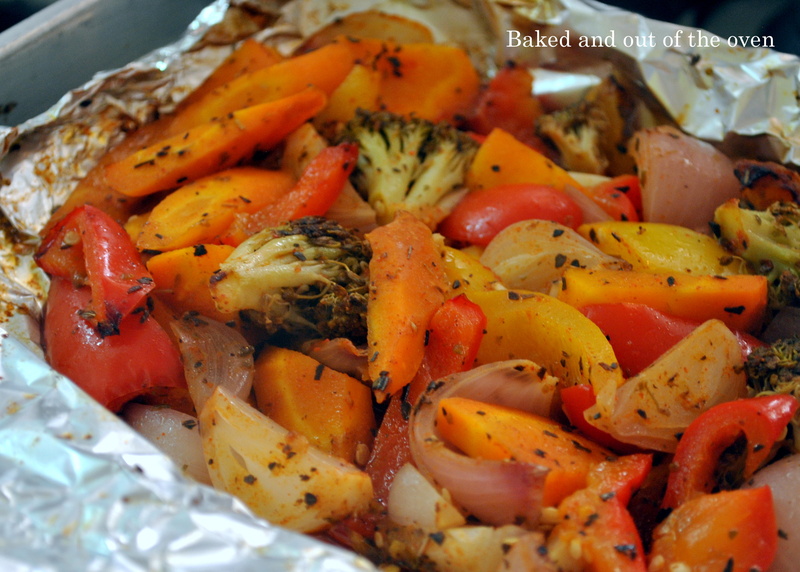 Layer the vegetables onto the foil covered baking tray and close the ends to form a pouch. Bake at 200C for 20 minutes. Wear Oven gloves and take the baking tray out of the oven, carefully with a knife open out the closed pouch. Wear oven gloves and be very careful as the steam is very hot and you can scald yourself. Turn on the grill of your oven, turn the foil downwards from the baking tray, place the vegetables back into the oven and grill for 5 minutes till the edges of the vegetables are beginning to char. Remove, rest the vegetables for 5 minutes before serving. What is 200 on the oven? 200 degrees Celsius. Corrected in the recipe as well. 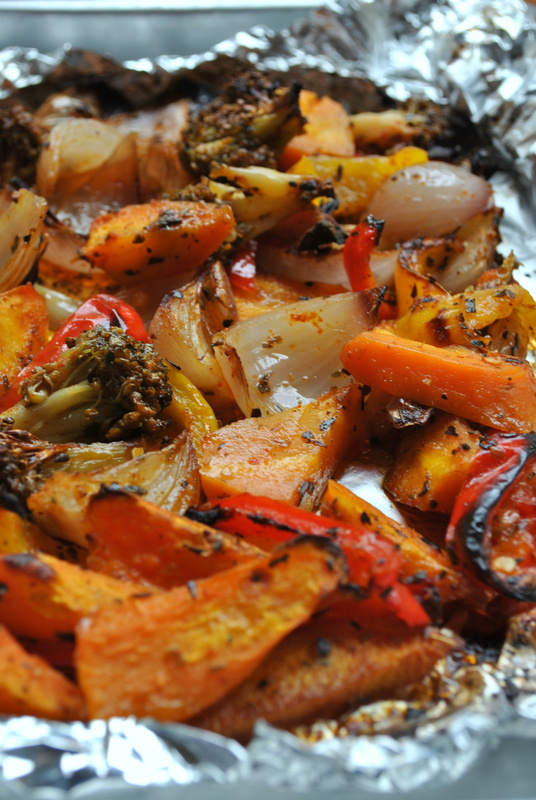 Love roasted veggies like this. And this looks so good. Love how colorful the recipe is. I have been meaning to cook in parchment for a long time. Got to do soon. :-).. Have to say – everything in the post in just perfect! Aww! thanks girl! do try, pouch style baking I personally feel allows the vegetable to cook more evenly and makes them sweeter…grilled for 5 minutes they then get crispy bits.